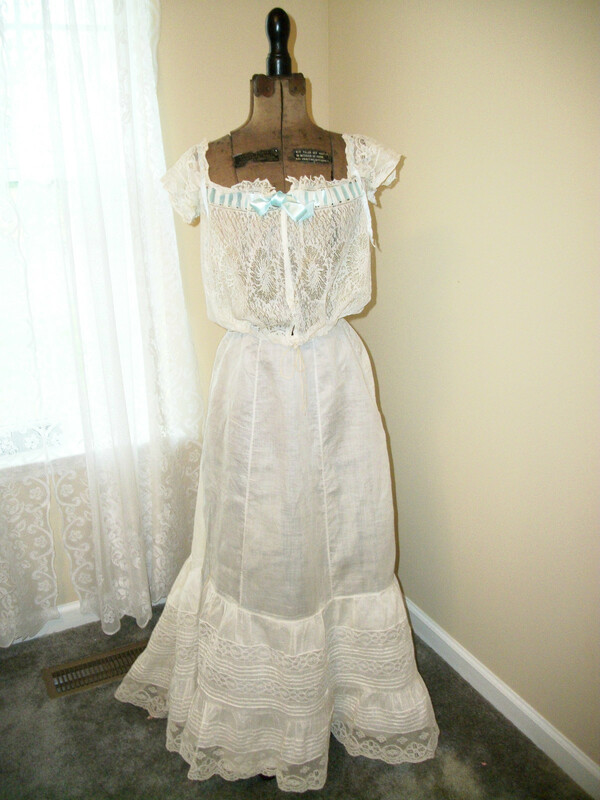 This is an 1890's Victorian slip and camisole in near perfect condition. There are no rips nor stains. It comes from the extensive collection that was my mothers and grandmothers. The slip is made of cotton and is signifigantly longer in the back than the front. Plently of room for a bustle there. You would expect that the lower lace in the back would show signs of drag or wear, but perhaps the poor woman who origionally owned it was a lot like me... "all dressed up and no where to go". 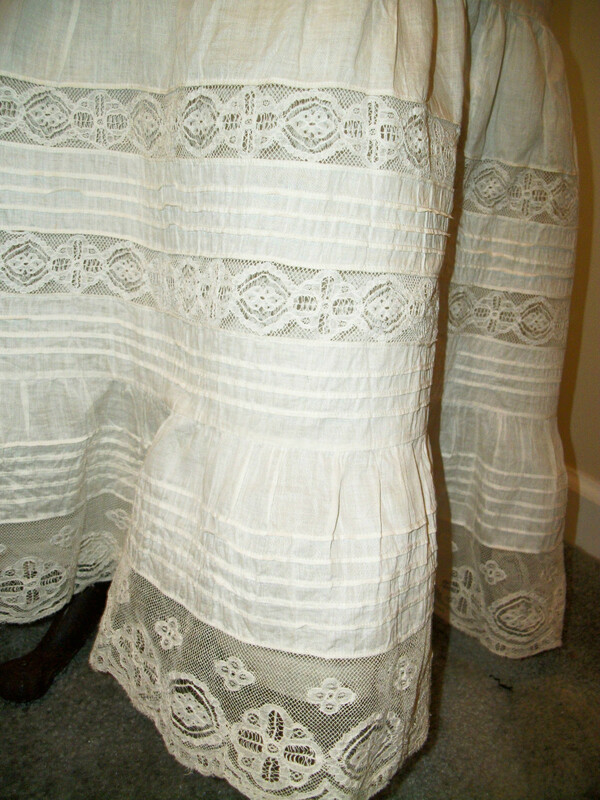 The lace ruffle is an overskirt that has sewn pleats and three rows of the lace. There were 5 pinpoint holes in all those yards of lace that I could see. The ruffle is 16 inches wide. It has two hook and eye closures. 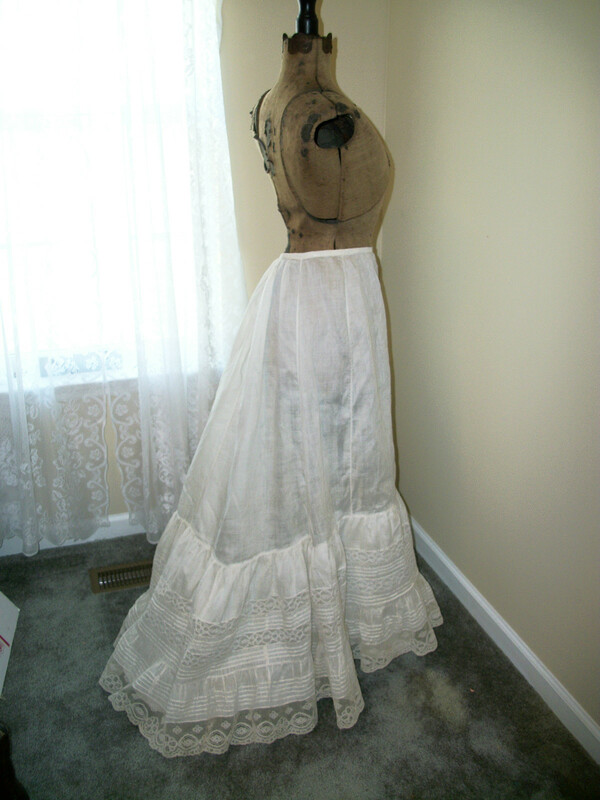 The waist is 21" It measures 29" in the front and 47" in the back. 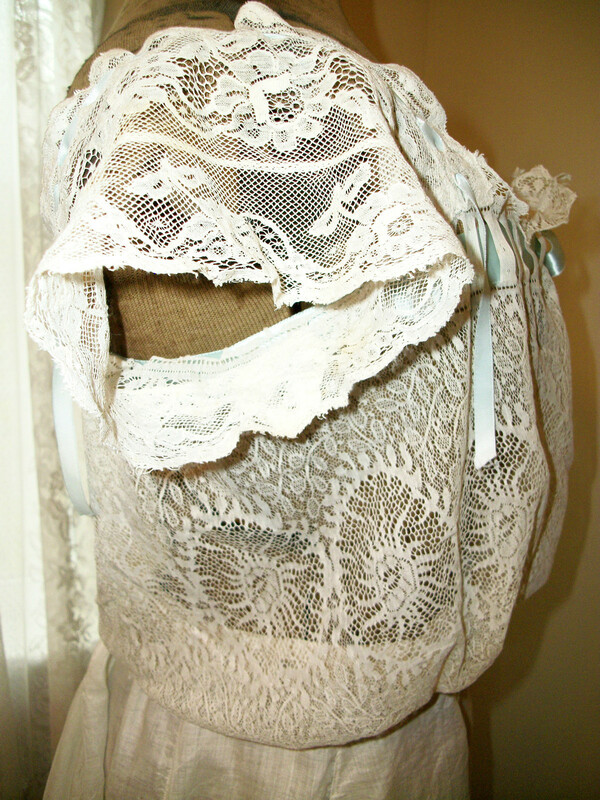 The lace on the camisole is so soft and light, it must have been like wearing air. 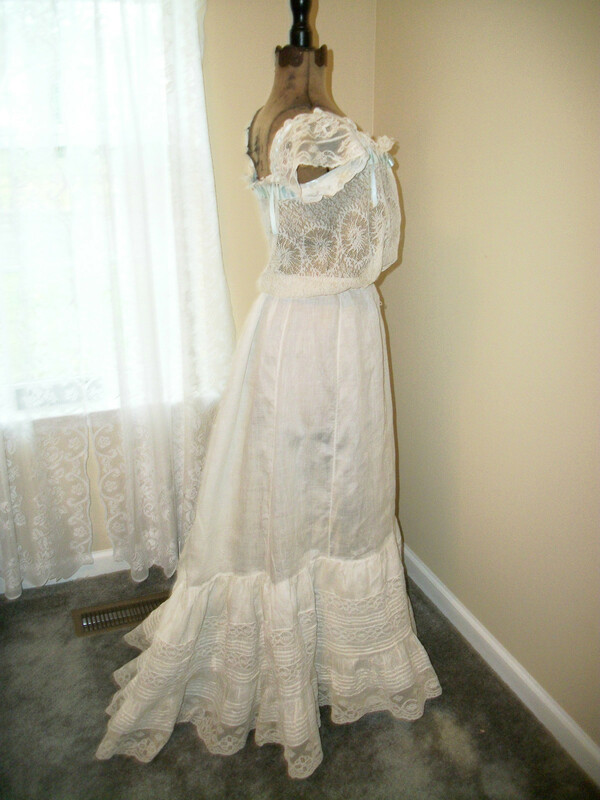 I wish I could identify the type of lace that it is, but alas, that is not my area of expertise. It is trimmed in a lovely blue satin ribbon. There are three snaps in the front, one half of one tin snap will need to be replaced. Lace in the form of roses is on the sleeves. 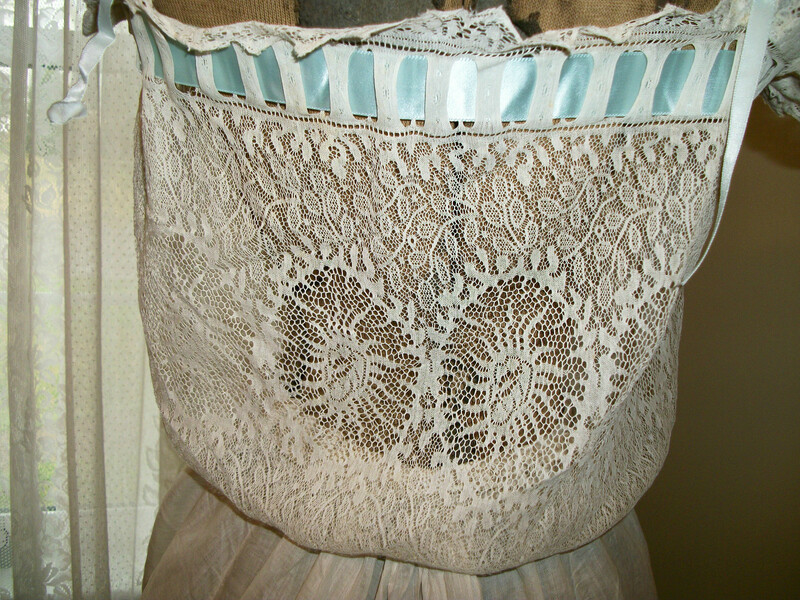 Two different laces, the outer one is scalloped the inner one is larger, and on the other side of the threaded small blue ribbon is still another style of lace. I only found one small hole that I photographed for you- two stitches would close it. 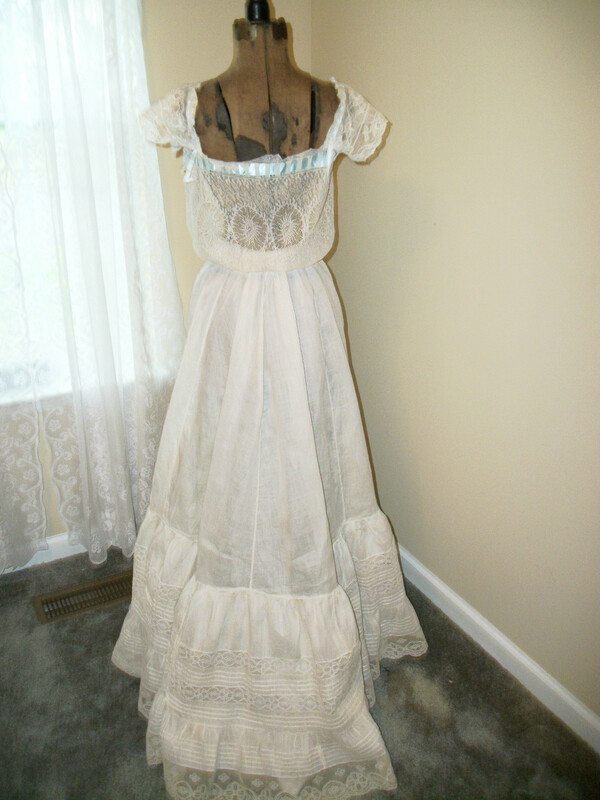 Like Victorian and antique clothing and accessories? Keep checking my other listings for unique items from this vast collection that was my families. I apologize for not posting. Work has simply been crazy as well as my sewing schedule. I can't promise that I'll be able to keep up for the next month but I will try. 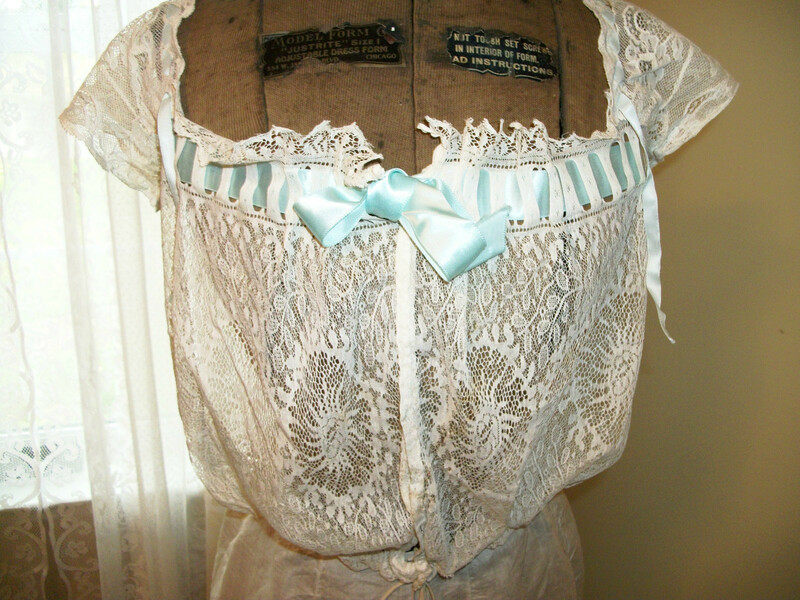 This petticoat and bodice cover looks 1900's to my eye. The pigeon front and the way the train on the petticoat is looks rather 1903-1907 to me.